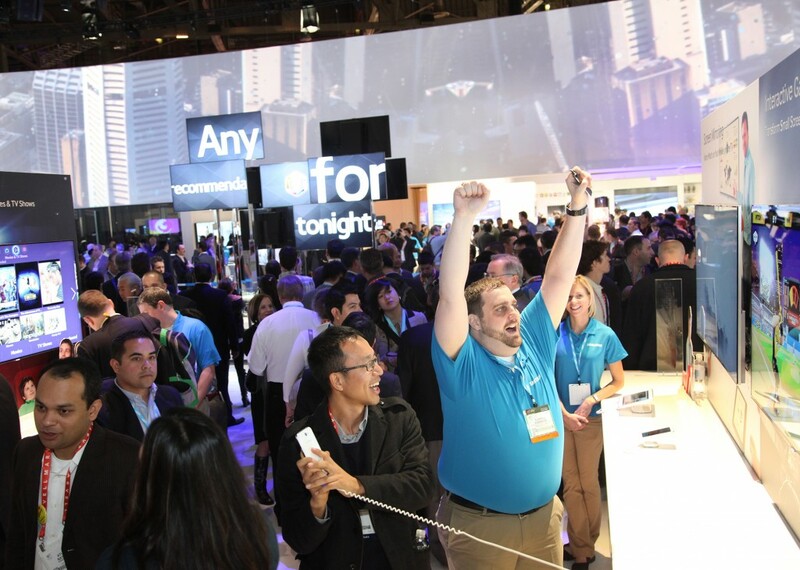 An attendee enjoys a hands-on demonstration at an exhibitor's booth during the 2013 International CES. This week’s Consumer Electronics Show in Las Vegas is an excellent venue for companies to show off their innovations and get some press to generate buzz for upcoming product releases. But perhaps the most important function of trade shows is to connect face to face with prospects, gauge their interest in your offering—and funnel them into your sales pipeline. Successful salespeople know that the excitement potential clients experience at an event is often short-lived. That’s especially true when a show features exhibitors from more than 150 countries, 16 social happenings and 16 keynotes. It’s also worth noting that with more than 2,000 vendors vying for your prospect’s attention, even the best sales pitch barely stands a chance—unless your product is outstanding and the swag is amazing. First do no harm. Most of us think we’re smart people. But being at the latest trade show allowed you to test your product and get valuable feedback. Is the market ready for your product? Do people understand what it does? Are customers ready to pay for your solution? Before you put any more money into developing, promoting and selling this, make sure you know the answers to these questions. If you need to reassess, do so before going any further. Do your research. Everyone’s excited at a hot event. Business cards, LinkedIn invitations and Facebook friends are traded like commodities. Before you fire off dozens of pitches that are destined to hit a dead end—or never be opened—make sure you qualify the people you met. Does their company really need your solution? Did you take the time to find out what their problem actually is? Are they asking for a drill but you’re a hole expert? Time is sensitive. You want to capitalize on the memory of the event before it fades, but how soon is too soon to follow up and when does it cross the threshold into missed opportunity? Try to use the intelligence you gathered at the time to inform your decision. Is your prospect dealing with a project now? Prove you can add value by following up within 48 hours with key ways you can help or essential introductions you can make. Make sure to include a clear call to action. Looking to just establish contact? Send a Thank You email no later than five business days after meeting your prospect. Track their interactions. Are your prospects opening your emails? Are they clicking on your links? Are they forwarding your messages up the chain? Find out which subject lines are working, which aren’t and how your pitches are resonating with services such as Yesware. Follow up in a non-invasive way. Keeping in touch with your prospects is key to building a relationship. We wrote a whole blog post on how to do this, here’s a quick tip: send an article or forward an interesting study, along with your notes, to your prospect. If you’re sure that your product can save them money, go ahead and run a projection by them. Ask for a referral. You may have had a great connection with Ted from marketing, but it’s really Sheila who’s the decision-maker. Build your relationship with Ted so he becomes your internal brand advocate, ask for Sheila’s contact info and ask him to help you get her on board. Get Face Time. Remember that energy and buzz you felt at the event? Get it back by scheduling an in-person meeting with your decision-maker. When you’re connecting with your prospect remember that it’s just as important to point out the cost of inaction as it is the ROI of utilizing your proposed solution. Trying to move someone to change a behavior is the most difficult part of sales. If you can show them that by doing nothing they’re risking their profits, you’re more than half way to yes.